Do you experience issues and frustrations during your commissioning period? Do you wonder why that is. What needs to change? Come along to listen to Mark give an oversite as to why he considers it so challenging to get building services commissioned correctly and a possible way forward to change this. Mark is an electrical engineer by qualification, with a passion for systems commissioning. With over 25 years’ experience in engineering and commissioning, including managing the commissioning of complex, highly technical buildings, Mark understands the importance of thorough planning for the testing and commissioning phase of construction. Originating from the UK Mark now resides in Auckland and works as a Technical Director for Beca, in Auckland. Mark strongly believes in thorough commissioning of buildings’ systems and the careful management of that commissioning. His philosophy is that if a system cannot be commissioned correctly the effort and expense of design and installation has been wasted. What are PI valves and how do they differ from other commissioning valves? How are they used? Where do you put them? 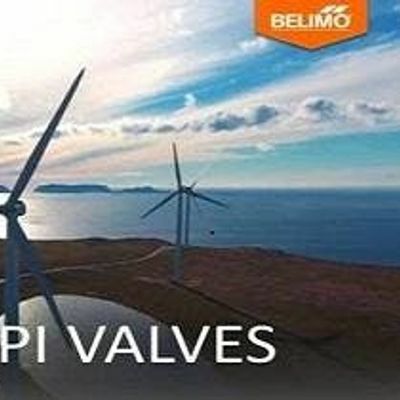 Mark’s presentation will be followed by the main act for the evening, a fascinated presentation on pressure independent valves by Andrew Brooks, who is a consultant to Belimo. If you ever wondered whether to use PI valves this informative and visual presentation will help you understand the benefits and limitations of these devices. Andrew studied Business Information Systems in the UK, after a few post grad jobs in IT he got drawn into our industry for his networking and programming knowledge. He now has over 15 years' experience working in the HVAC industry for various companies involved in the manufacture and design and control of HVAC systems. He has extensive experience on and off site, with a multitude of technologies. These include, but not limited to, DDC Control systems, Air Handling Units, Fan Coil Units, Variable Air Volume, Chilled Beams, Chilled Ceilings, Air, and Water Systems. Andrew is an Application Consultant for Belimo covering Asia Pacific from New Zealand, his role is to educate the market on industry trends, providing lunch and learns and seminars all over the region.